Home › Hypermiling Blog › It’s New car time! How things have changed! I can’t quite believe it’s been well over a year since I updated my Hypermiling Blog. During this time, lots of things have changed, thankfully all for the better! Our household now includes 2 new members. One being my beautiful little girl Eden Rose and the other is a tiny tabby kitten called Jerry (like Tom & Jerry). These extra inhabitants of our family home made me reassess my transport arrangement in favor of something with more grunt and seats. 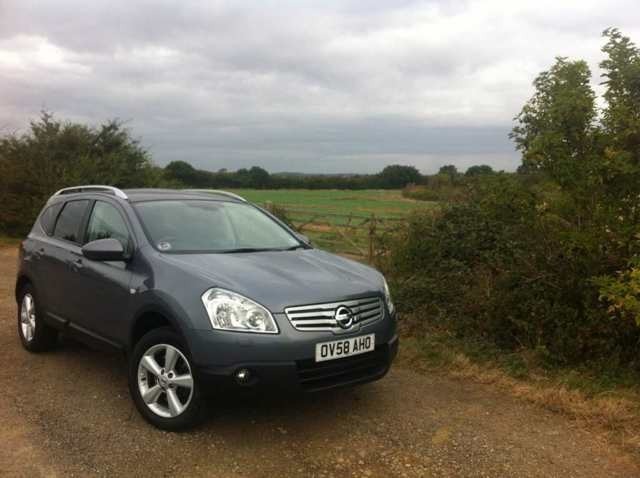 So out went the Volvo V40 1.6 petrol estate and in came the Nissan Qashqai +2 (7 seater) 2.0DCi Tekna. Compared to the Volvo its a cow drenched luxury barge. We have leather, auto everything key less everything, panoramic sunroof, sat nav, reverse camera, alloys… the list goes on forever. Its quite a step up from the entry level Volvo which managed to woo me with its alloys and air conditioning. Even with its extra bulk and toys it still manages to add an extra 15MPG on top of what the Volvo was returning. To date I have seen an average of just over 52MPG from it, all in absolute comfort and luxury. With it’s increased mass I have resorted to using a lot more neutral coasting and have pulled away from the in gear method. The engine has a lot of torque and kills the rolling distances if coasting in gear. I’m yet to get full to grips with the Qashqai but when I do, I’ll be sure to report back and I promise I won’t leave it quite so long next time. In the mean time – I’m very active on our fuel saving hypermiling forum so why not join in and become part of the UK’s only hypermiling community. Introducing the Volvo... the most unlikely choice for a "Hypermiler"